Why Attend a Virtual Conference? With so many conferences to choose from, virtual conferences offer an exciting new opportunity to learn, engage, promote and connect. How do you envision a professional conference? Perhaps you imagine rooms filled with speakers making presentations, vendors showcasing their products or attendees meeting up for engaging discussions. Thanks to advancements in technology, we can now transition that interactive learning experience completely online. As nurse practitioners (NPs), we know conferences are key events for professional development, continuing education (CE) and networking—but compared to an in-person event, why should you attend a virtual conference? Virtual conferences can offer cost and time savings. Attendance at an in-person event often requires travel, hotel accommodations and food expenses. Including registration fees, that can add up to several hundred or even thousands of dollars. Add in the cost of time spent away from family, away from the workplace or dealing with scheduling conflicts or travel issues, and virtual conferences can be a cost-effective alternative. Example: Attending a conference can be an excellent way for an NP to earn CE credit while gaining valuable insight from health care leaders. While a member discount helps put the cost within budget, he can’t miss a week of work to attend an out-of-state conference. By attending the AANP Live: 2019 Diabetes Virtual Conference, he can focus on creating lasting connections and engaging in evidence-based learning—without time-consuming travel. Virtual conferences are accessible from anywhere. Dedicating your time to an entire day or week of professional development and skills building can be an amazingly rewarding experience. However, it’s not always convenient in between work projects, corporate events, professional meetings, family events and other priorities. With a virtual conference, you can attend sessions, visit the exhibit hall and chat with attendees and speakers from the comfort of your own home as long as you have access to an internet connection and a smartphone, tablet or computer. Example: An international NP has never attended a U.S.-based conference, but the AANP Live: 2019 Diabetes Virtual Conference connects participants from across the globe for in-depth diabetes education. She even tests her system on her laptop and her tablet in advance to make sure she can access the virtual environment and is fully prepared for live day. Virtual conferences make networking easy. Conferences are one of the best events for NPs to connect with leaders in every specialty, participate in group discussions around topics of interest and create lasting professional relationships. A virtual conference can actually make that networking more scalable than at an in-person conference. Instead of having to coordinate schedules or track down fellow attendees in a large convention hall, virtual conference attendees receive a full list of attendees in each virtual room, making it easy to begin one-on-one chats. 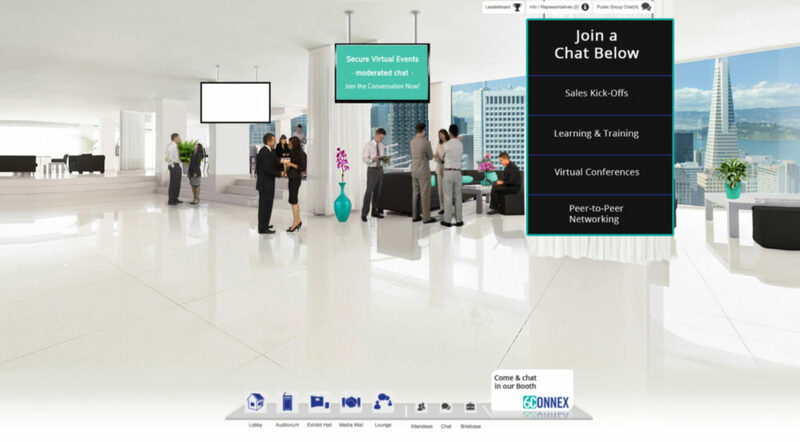 Virtual networking rooms can also facilitate discussion, creating connections between attendees interested in similar topics. In addition, virtual exhibit halls offer the same presentations about exciting products and services as in-person events, complete with messaging between attendees and exhibitors. Example: An NP is attending a virtual conference but is afraid that he won’t be able to speak directly with other attendees. When he attends the first session at the AANP Live: 2019 Virtual Conference, he is pleased to discover that he can chat individually with other health care professionals in addition to participating in Q&A sessions with the speakers to gain additional insight or dive deeper into a specific content area. Virtual conferences can ensure that you never miss a handout or session. Professional conferences offer hundreds of sessions, workshops, meetings and other events—so many, in fact, that it’s often impossible to attend every single one. With a virtual conference, handouts and presentations can be available in advance or after the sessions end so all attendees can access the education and information they need. Example: Even though she is unable to log in on live day, an NP still wants to learn how to create a multidisciplinary care plan for patients with diabetes. She registers for the AANP Live: 2019 Virtual Conference because the site will be available for 15 days following the conclusion of the conference. She can watch the recorded sessions, download handouts and receive CE credit when it’s more convenient! 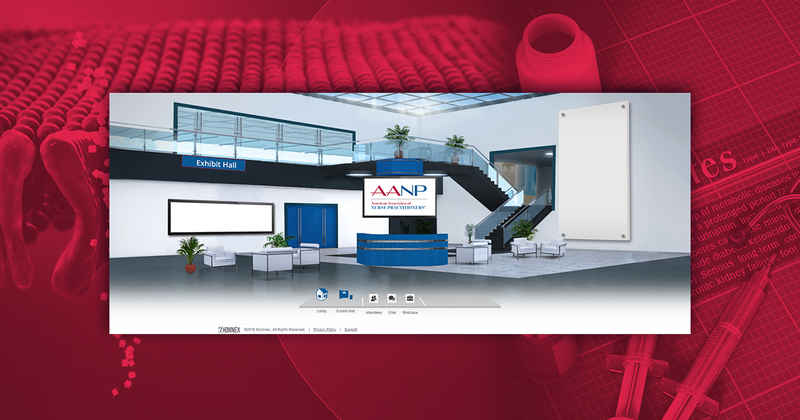 At the AANP Live: 2019 Diabetes Virtual Conference, you will be able to watch live educational sessions via video streaming and participate by asking questions, leaving comments and joining activities in real time—the ultimate online opportunity to earn up to 6.0 hours of CE credit, which includes 3.92 pharmacology*! 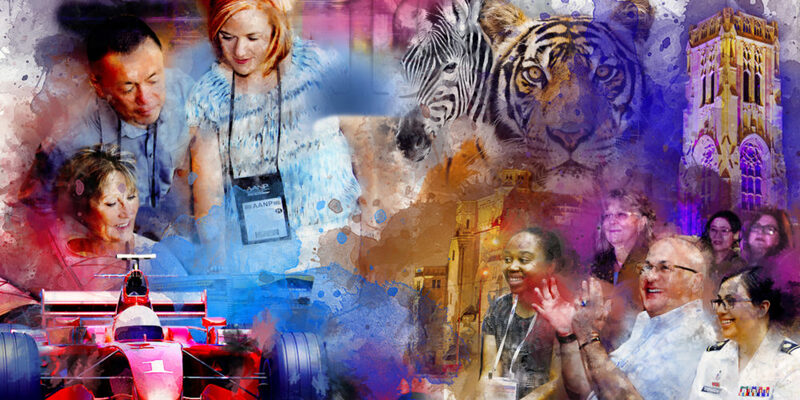 Plus, you’ll be able to find the relationship-building experiences you expect from AANP conferences. Engage with the NP diabetes experts in live Q&A sessions or explore the exhibit hall to see the latest products and services for your patients. Invite your colleagues to attend, and discuss the sessions together in one-on-one chats or in the networking lounge. No traveling, no housing expenses and reduced time constraints—only the education and networking you need. *This education activity is pending approval by the American Association of Nurse Practitioners of up to six contact hours of accredited education.